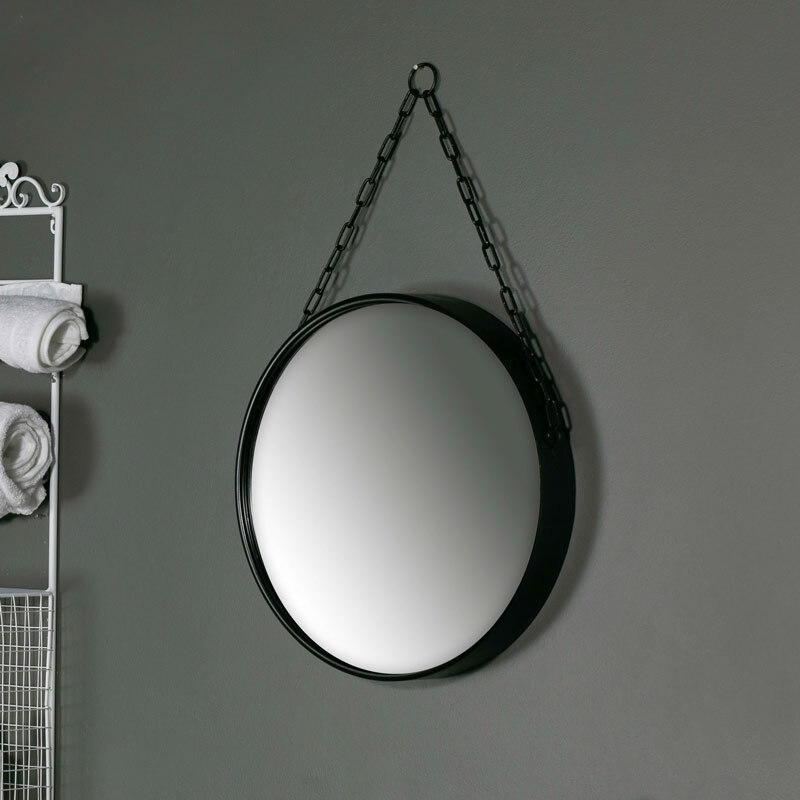 This is a great mirror for adding some retro, industrial chic to your home decor. Large round metal frame, suspended from a metal chain. Ideal for hanging in the living room, hallway or use as a bathroom mirror. Offering a charming look for any room, the circular design also gives hints of a nautical theme. The solid and sturdy design makes this a real head turner. Mirrors are one of the best accessories you can get for your home. This is a great mirror for adding some retro, industrial chic to your home decor. Large round metal frame, suspended from a metal chain. Ideal for hanging in the living room, hallway or use as a bathroom mirror. Offering a charming look for any room, the circular design also gives hints of a nautical theme. The solid and sturdy design makes this a real head turner. Mirrors are one of the best accessories you can get for your home. 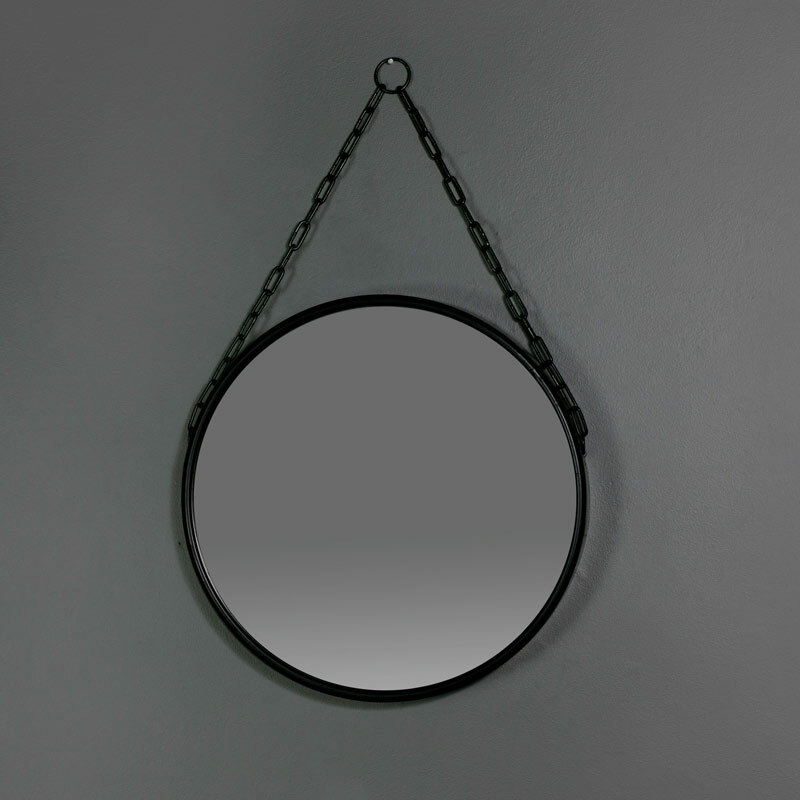 Constructed with a round metal frame in a black painted finish with a thick metal chain for hanging, also has a hook on the back if not using the chain.